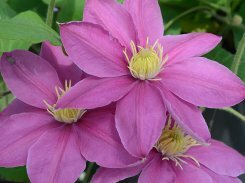 These compact clematis provide instant appeal in the garden centre, with their multi-blooms. They are free and repeat flowering from late spring to late summer and will flower again in the autumn. 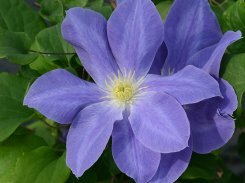 Boulevard® Clematis are ideal for the gardener to grow in containers, on trellises or in borders and will require hard pruning each spring to 30cm (12”).